The menu and technology for the Fondue restaurant are designed by chef François Villacarre, a distinguished expert in Alpine cuisine in Switzerland. Under the wise instructions of chef Villacarre, the team of chefs at Fondue restaurant created a captivating palette of delicious dishes prepared with attention and professional flair. Is the chef at Aparthotel Lucky Bansko SPA & Relax. Le Bistro and Fondue restaurants are under his leadership. The culinary master born in Balchik chose his future profession while still a pupil and he has been practicing it for over 18 years. 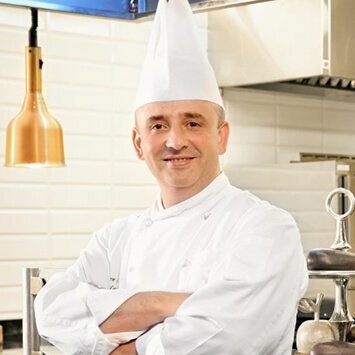 Chef Zlatanov graduated from a vocational high school specializing in cooking. He entered the profession starting work in restaurants at renowned hotels along the Black sea coast. His first teachers were in Varna. They show him the fine points of the art, how to cook with heart and understanding of the specific particularities of the products and how to achieve original flavor combinations. For Chef Zlatanov, preparing delicious food is not just work, it is a delight and a challenge. He has a particular affinity for classic French cuisine and is a true virtuoso. After proving his professionalism in the best restaurants in the sea capital, he continues his education at the College of Tourism in Nice. 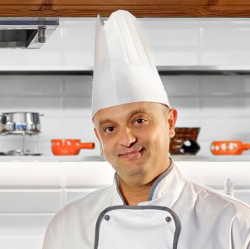 Chef Zlatanov has been an integral part of the management team of Aparthotel Lucky Bansko Spa & Relax for eight years. Chef Yankov started his career in one of the most prestigious restaurants in the old Bulgarian capital, Plovdiv. Naturally creative, his spectacular taste and presentation skills brought him to one of the best Italian restaurants at the Bulgarian coast and then later to the best Italian restaurant in Bansko – Leonardo. Chef Yankov continues learning facing the professional challenges of the culinary production. His new passion and development field is the Swiss cuisine. Swiss cuisine combines plenty of ancient national traditions. Chef Yankov prepares unique specialties skillfully and flowingly. The true motivation of Chef Yankov comes from his working persistence, professional passion and the feeling of satisfaction he gets from his job.